Berber carpets have become more and more popular in recent years because their tufts and loops are aligned to give a clean uniform look. 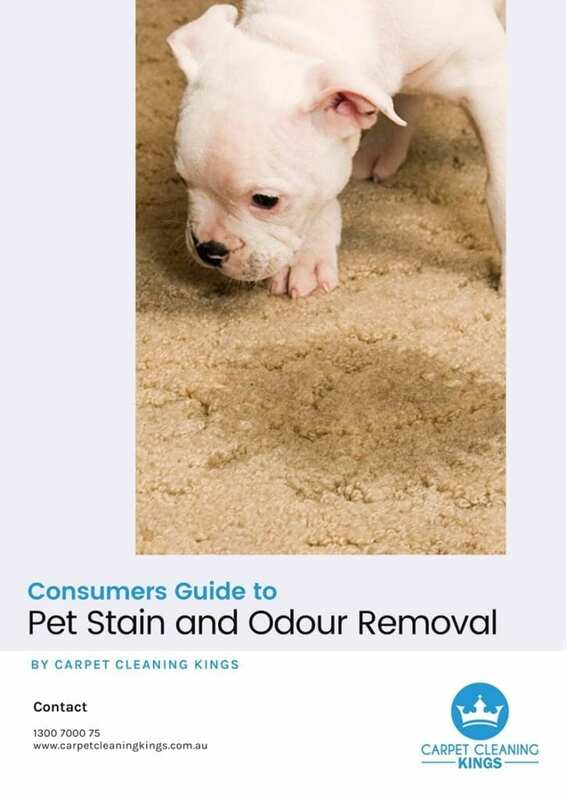 Not only this, they have a tight weave which means that stains or liquids can’t penetrate down into the fibres as quickly as other types of carpet. All that said, accidents do happen, so when they do, you’ll need to know just how to deal with them. Let’s take a closer look at the steps you should take in order to remove a Berber carpet stain. 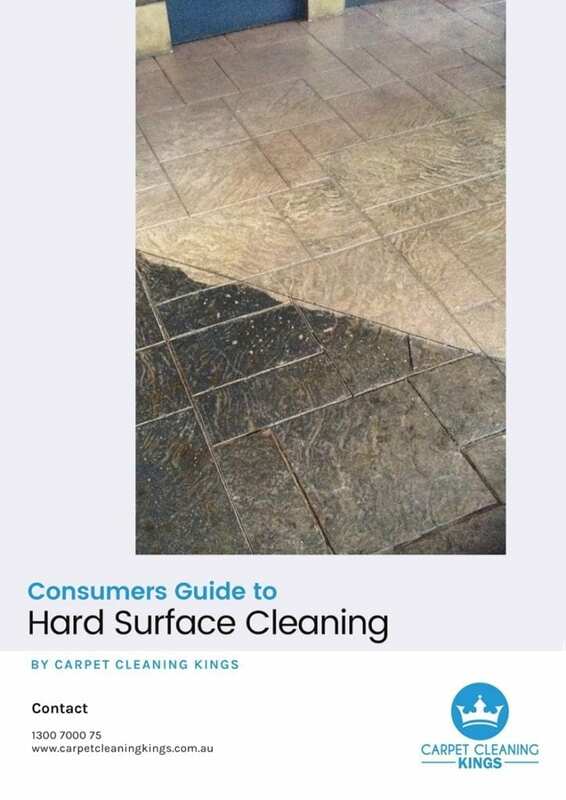 Even though a tight weave may mean that stains take longer to penetrate down into a Berber carpet, speed should always be your priority for eradicating any type of stain. The bottom line is the quicker you are, the easier it will be to remove. With this in mind the first step should always be to try water first. Apply small amounts of cold water to the stained area by blotting it with a lint-free damp cloth. Never rub the stain because you run the risk of spreading it. Instead let the water soak into the stain and then remove with a dry cloth. 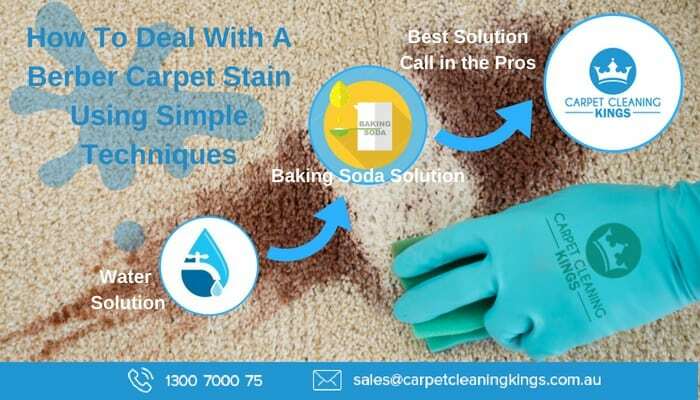 If the stain has penetrated through the fibres and can’t be removed simply by using water, then try mixing up a baking soda/vinegar solution comprising of 3 parts baking soda to 1 part vinegar to form a thick paste. Spread it across the stain and leave for around 30 minutes. Then place a clean damp towel over the area and using a steam iron with the steam setting on, gently iron over the damp towel. Next remove the remaining baking soda solution then spray the area with a little water. Berber carpets tend to retain moisture so make sure you only lightly spray the area. Finally dry the area either naturally, or using a hair dryer on a very low setting. If the Berber carpet stain hasn’t been totally removed, then repeat the process. If it’s a stubborn stain that simply won’t shift, it can look unsightly. Thankfully a professional carpet cleaning company has the skills, experience, and the equipment to remove it, making your Berber carpet look like new. If you have a steam cleaner, you might want to attempt to remove more stubborn stains yourself. However shop bought steam cleaners aren’t generally as powerful as industrial ones. As such you run the risk of over-wetting the carpet. 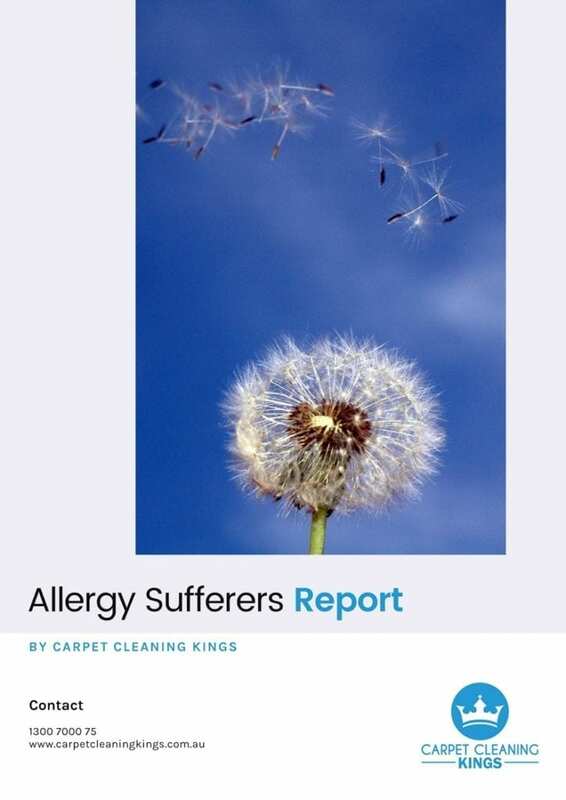 This can be very damaging for a carpet and therefore the levels of water need to be carefully controlled. For this reason it’s better for both peace-of-mind and cost, if you leave it to the pros. 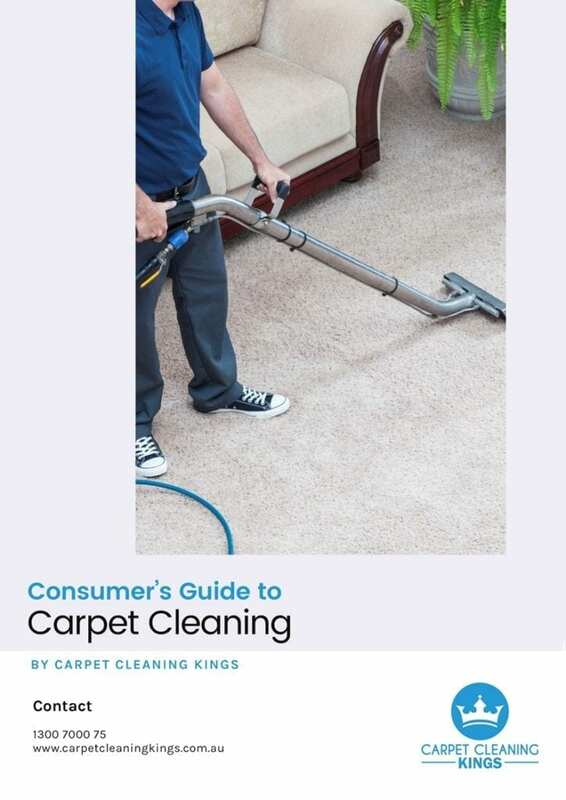 Berber carpets do require care and attention when cleaning so if you don’t want the hassle or worry of attempting it yourself, then you might want to call on Carpet Cleaning Kings. 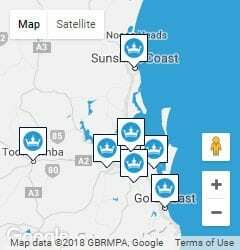 We have the experience, the knowledge, and the equipment to be able to eradicate just about any type of carpet stain, so why not give us a call on 1300 7000 75 and let us give you a free no-obligation quote.